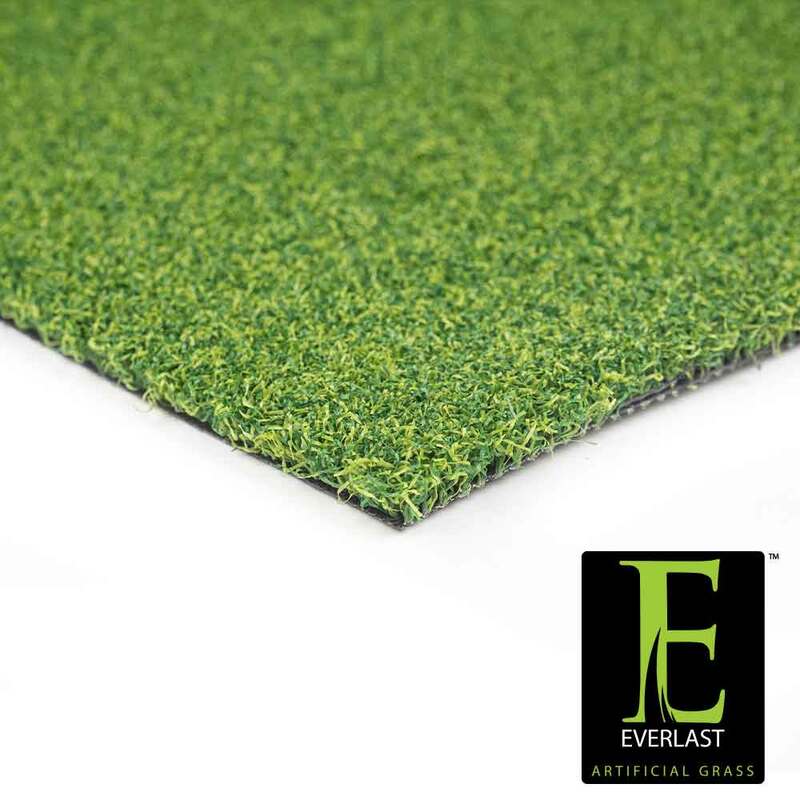 With Everlast Poly Putt 2-Tone 15’, you can now design your dream putting green! This product is one of the premier choice putting greens among certified artificial grass installers nationwide. Poly Putt 2-Tone 15’ features dual field and lime green blades in a textured polyethylene. This product has an approximate 50 ounce face weight and an approximate ½ pile height which makes it the perfect choice for any residential and commercial putting green. This product is heat and frost resistant and is completely customizable! Each grass blade contains U.V. stabilizers that are installed during the manufacturing process, ensuring that your putting green will not fade. All of our putting greens comes with an 8 year putting green manufacture warranty which ensures that your putting green will last for years to come! Poly Putt 2-Tone 15’ is an ideal option for any custom backyard installations, so choose Poly Putt 2-Tone for your next custom putting green!